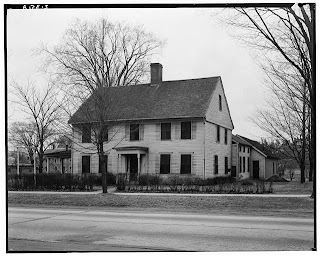 The Arnold House,Westford, Mass. 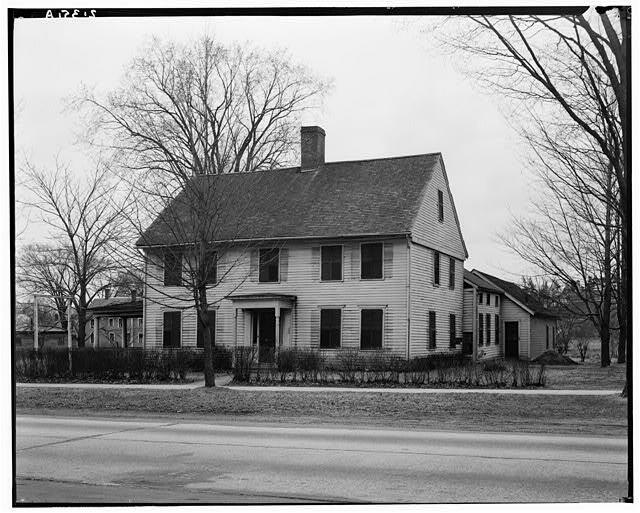 c. 1800, was measured by Edward E. Jordan for the Historic American Building Survey. On the first HABS sheet is written: "Note: house partly destroyed by fire during winter of 1933-34." I know very little about the house or the family. Probably the builder was Joseph Arnold who died in 1823. 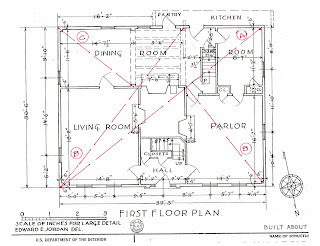 While I was thinking about how this house was laid out, a friend asked if I had ever seen the 3-4-5 triangle used for design. Like the circle and the square it is independent of fixed dimensions. 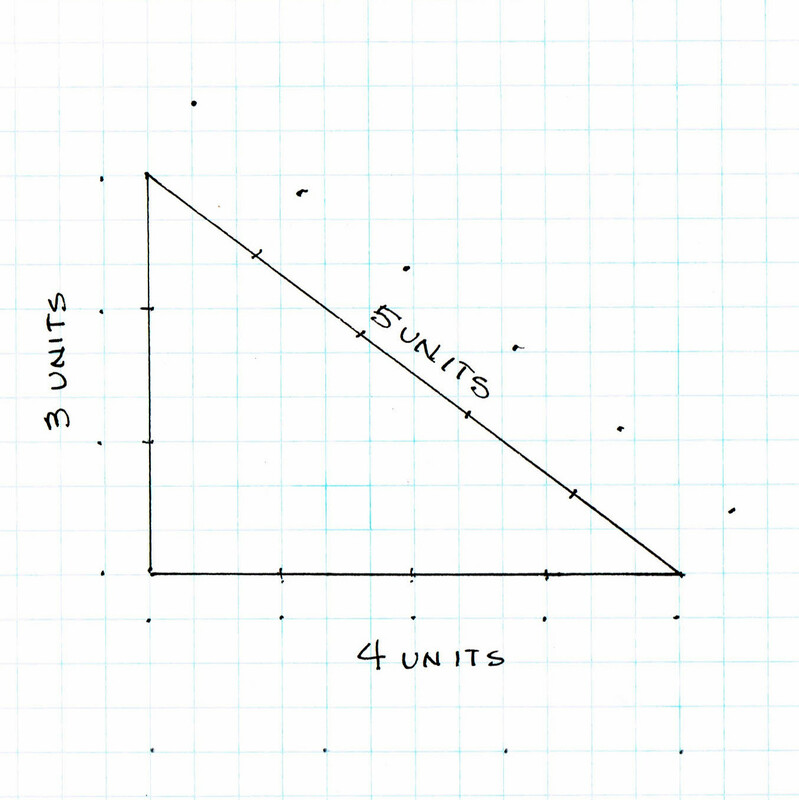 It is simply a ratio that always produces a right (90*) angle. I had not seen it, but I began to pay attention. So - look at this house. Click on illustrations to enlarge. For a wood frame, post and beam, hand hewn house that's close enough to 30ft. and 40 ft. 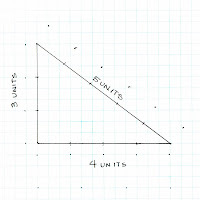 So for the 3-4-5 triangle the diagonal across the house, (A), should be about 50 feet long. It is. Then look at (B), the diagonals of the front rooms. The same angle gives the dimension of the parlor. 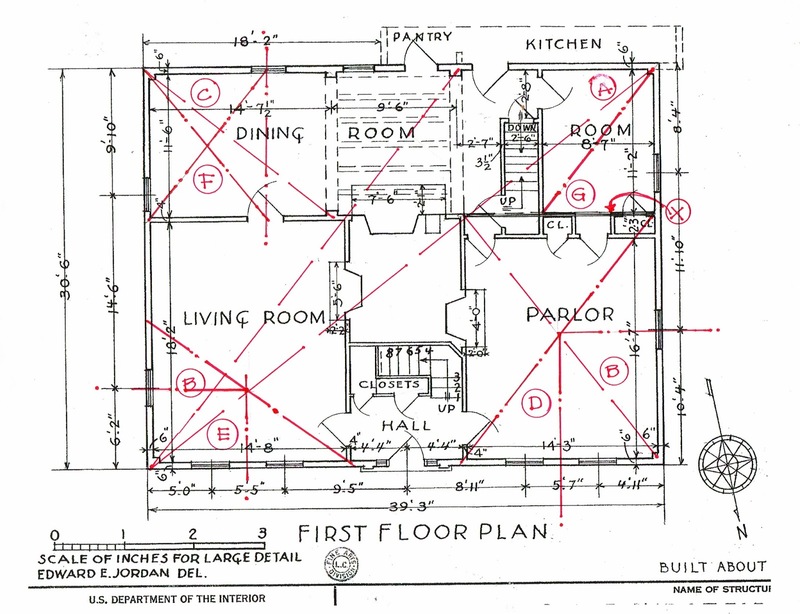 The diagonal (B) in the Living Room is not as clean, but still defines the size of the fire places and chimneys and the post location at the rear of the house. (C) determines the post location in the Dining Room. The 3-4-5 ratio also gives the locations of the windows, at least one door and the size of the Room behind the Parlor. (D) shows the Parlor window placement on the side directly on the center of the room, the front windows equidistant from the center. 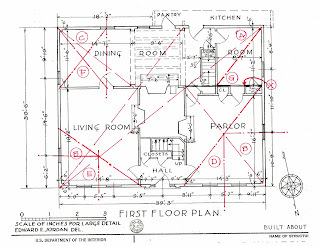 (F) places the center line for the Dining Room window and door at the edge of the rectangle. 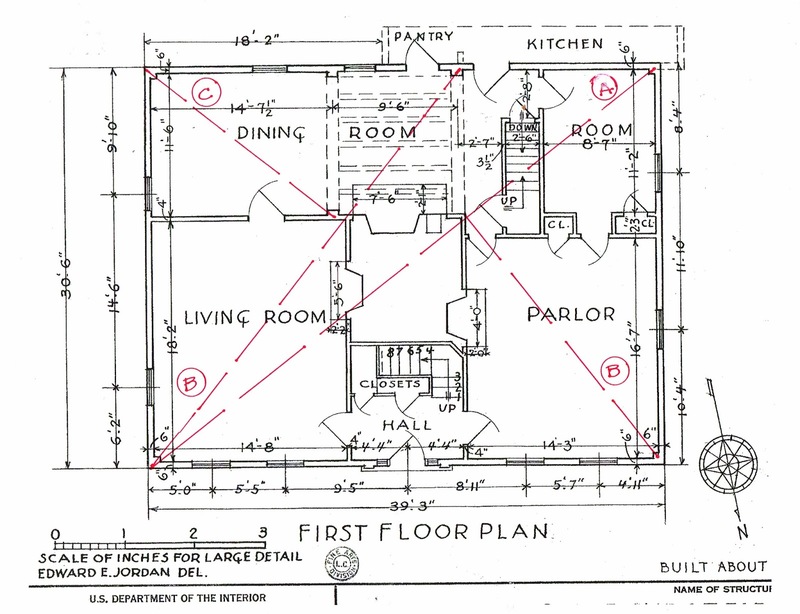 (G) determines the size of the Room behind the Parlor and the location of the stairs. Next I will post the front elevation and add some ideas I have about the house design.